In 2014, Congresswoman Dina Titus hosted the initial annual House App Challenge for high school students in Nevada’s First District. The House App Challenge is the only House academic competition to promote innovation in the fields of science, technology, engineering, and math (STEM). To continue the momentum of Rep. Titus’ efforts promoting STEM education in the District, the Congresswoman has announced this year’s competition will be open to middle school students. Students will create an app on the platform of their choice and submit a video demonstrating the app’s idea, implementation, and impact. 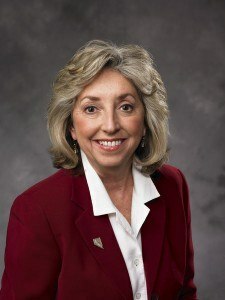 Congresswoman Dina Titus said that last year she and her team saw that creating an app can be intimidating to students, especially if they do not have a background in coding or programming. Last year’s House App Challenge was a success because the #VegasTech community was instrumental in serving as mentors for students and judges of the final products.